Let's see if it lives up to the hype. Whether you like to grab a bottle post-workout on the way home from your favorite juice bar or have subscribed to a mail-order cleanse, cold-pressed juices are everywhere (even Starbucks!). But what's the deal with them, really? Jennifer Haythe, M.D., assistant professor of medicine at Columbia University Medical Center and internist at Columbia Presbyterian, explains. 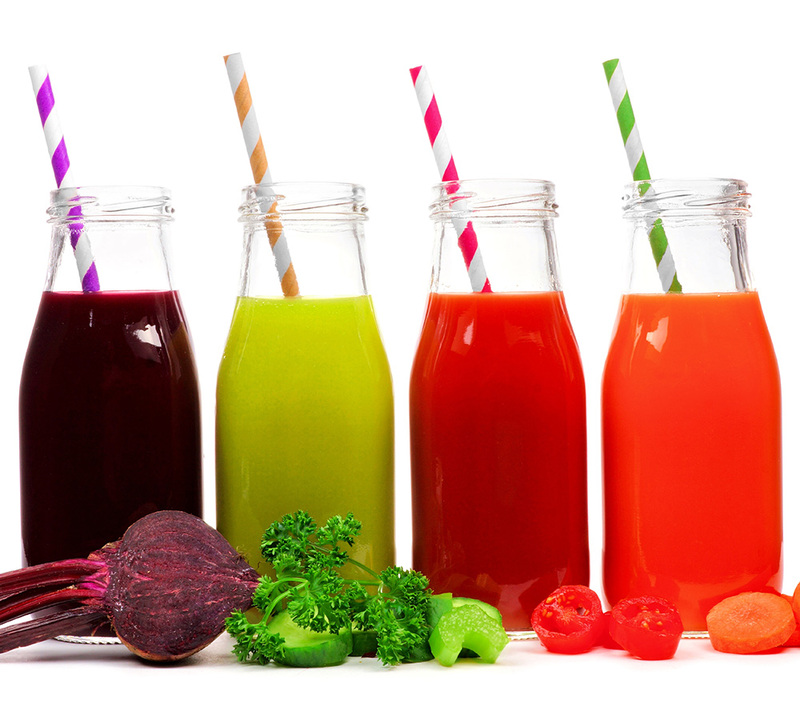 "Cold-pressed juice refers to juice made using a hydraulic press to extract the juice from fruits and vegetables, which is different from the pasteurization process, which involves high heat," says Dr. Haythe. "The cold-pressed process involves shredding fruits and vegetables and then compressing them between two plates at a very high pressure." The pasteurization process is what helps kill potentially harmful bacteria in juice, while the cold-pressing process gets the most liquid and nutrients out of the produce as possible. All juices are not created equal, and many grocery stores and health stores sell both pasteurized and unpasteurized juices. It's important to look at what you are buying. When a juice is pasteurized, the same high temperature that kills bacteria also helps to prolong the shelf life. (Pregnant women should stick with pasteurized for that reason, FYI.) This means that the pasteurized orange juice you buy from the grocery store is likely to last you a long time, while the cold-pressed juices you pick up should be consumed in a matter of days. Because no heat or oxygen is used in the cold-pressing process, nutrients are not lost as they typically are when heated during pasteurization. That makes cold-pressed juice sound like a win, right? Not necessarily, says Dr. Haythe. The high-pressure processing of cold-pressed juice leaves behind the pulp, where fiber is typically stored, so cold-pressed juices may be lacking in fiber. And no matter what kind of process your juice goes through, all juices are still high in sugar. Drinking your fruits and veggies may give your body the nutrients it needs. But the missing fiber can do a number on your glucose levels and even your weight, since you may consume more calories trying to reach that full feeling that you're missing with a fiber-filled snack. Even more, "there is no data to support the idea that cold-pressed juices are healthier than other juices." Bummer. But that doesn't mean you have to kiss your cold-pressed habit goodbye. Just make sure you buy the best blend—preferably one that has dark leafy greens that will pack an extra nutritional punch, as opposed to fruit-only juices which will be much higher in sugar content. And since these juices are lacking in the fiber department, it's important that you enjoy juice only as a complement to a healthy diet, not as a replacement. Opt for a blend that has raspberries, blackberries, pears, or avocado in it, as those are naturally high in fiber and are more likely to retain some of it even after it going through the cold-pressing process. Most importantly, Dr. Haythe says, is to make sure you still drink plenty of water if you drink juices. Drinking water is an easy way to stay healthy and keep your sugar calories down. Also, make sure to read the label before you buy cold-pressed juice. There should be a clear "use by" date on the bottle, since these juices can spoil quickly. Keep in mind that many bottles hold more than one serving—if you drink the whole thing at once it could be more sugar and calories than you bargained for. So if you want to grab a cold-pressed juice for an extra boost of nutrition, go for it. Looking for a miracle in a bottle to help you de-bloat and detox? You may seem short-term results, but you'll get long-lasting ones by practicing a healthy diet and hitting the gym regularly.